Hi sewing friends! Have you heard about the Sew Fancy Pants challenge that is going on in the month of January? If you’re active on Instagram you’ve probably seen a lot of fancy pants being made recently. The challenge was put together by Nicole, Katie, Jennifer, and Loni. 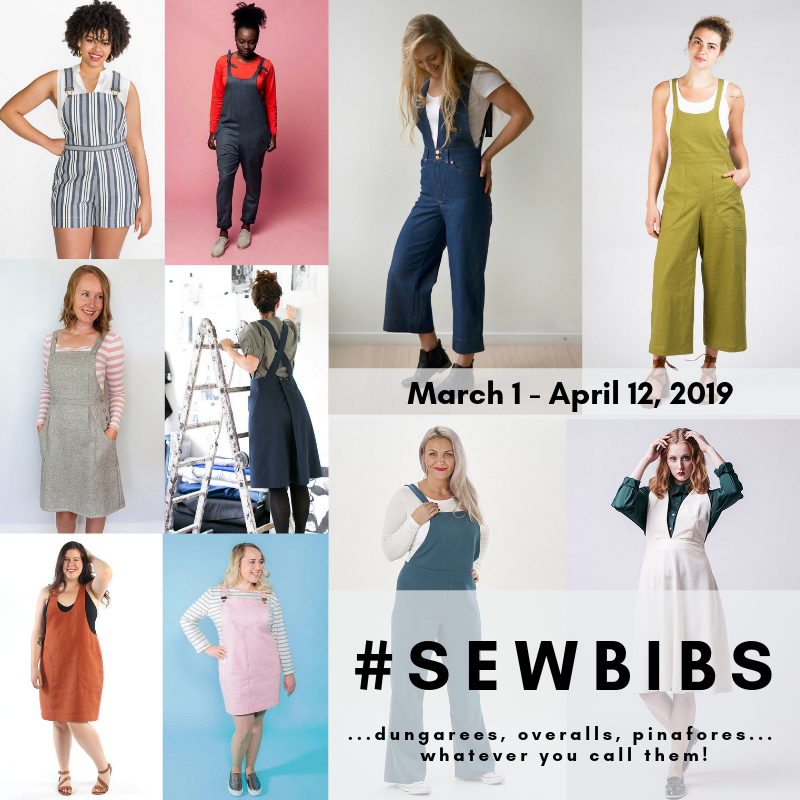 There have been all sorts of giveaways and it’s been so fun getting pants sewing inspiration. I’m here today to talk about details that can make your pants fancy. 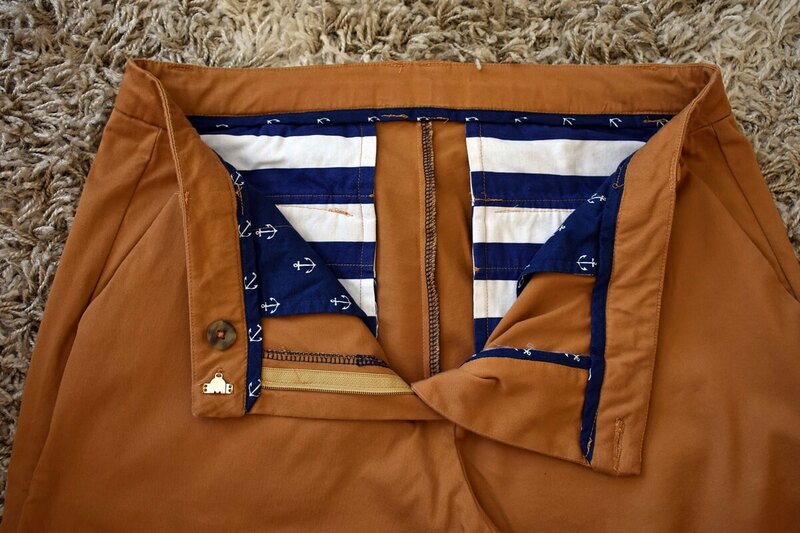 I love adding special details to my handmade pants! 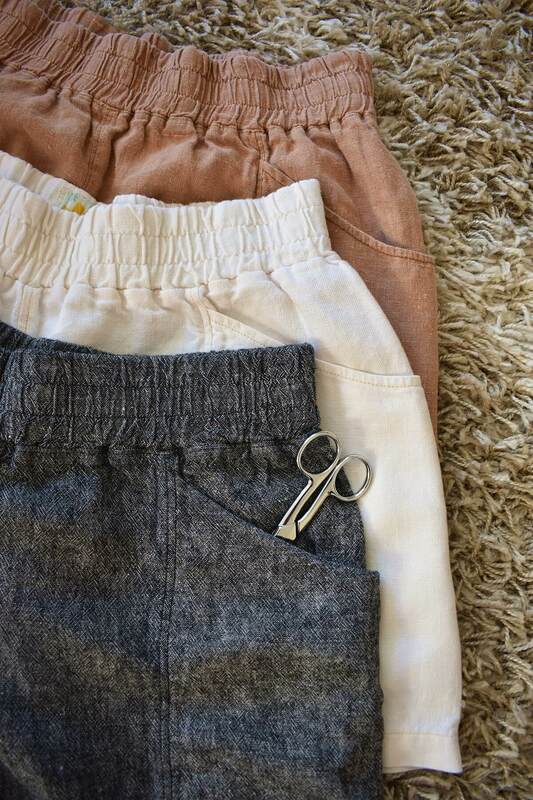 I’m excited to show you some of the pants/shorts that I’ve made and give you some ideas for different fancy touches that you might want to add next time you sew pants. This pattern has a huge amount of variations– it can me made in a knit, a stretch woven, or a non-stretch woven. 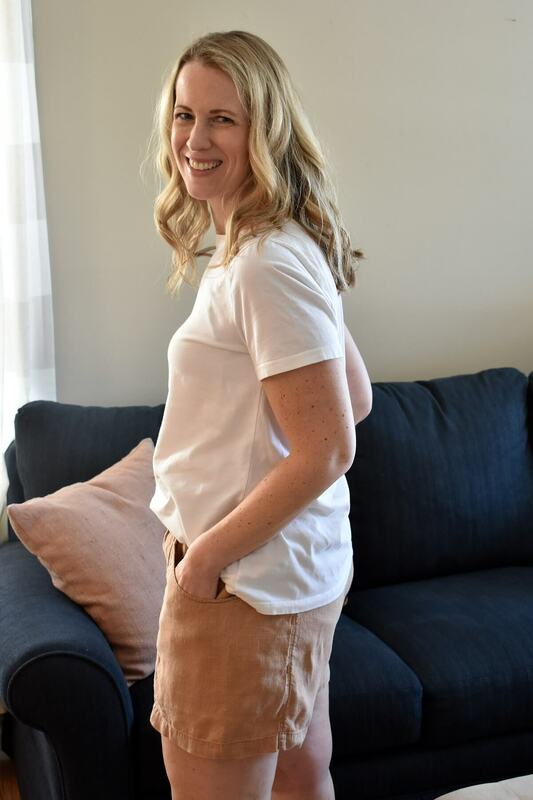 There are options for a basic hem, a faux cuff, an elasticated hem, a long size zipper with snap cuff, a half elastic back, and a lapped zipper. I love that there are so many different details built into the pattern. You could make Robinson trousers for every day of the week and they’d all look different. I chose to add a really cool striped twill tape racing stripe down the sides of the legs, the half elastic back, and the lapped zippers. These are definitely the coolest pants in my wardrobe! I’m currently working on a pair of Chi Town chinos with a velvet ribbon down the side seam and I can’t wait to start wearing those. 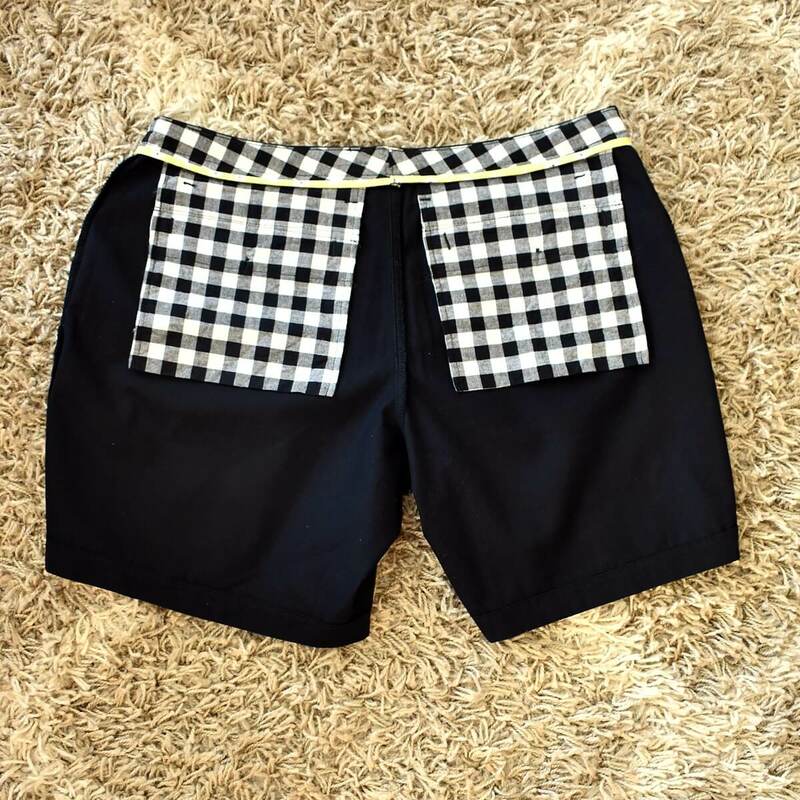 Another fun project from last year was a pair of Megan Nielsen Harper shorts with an added scalloped hem detail. 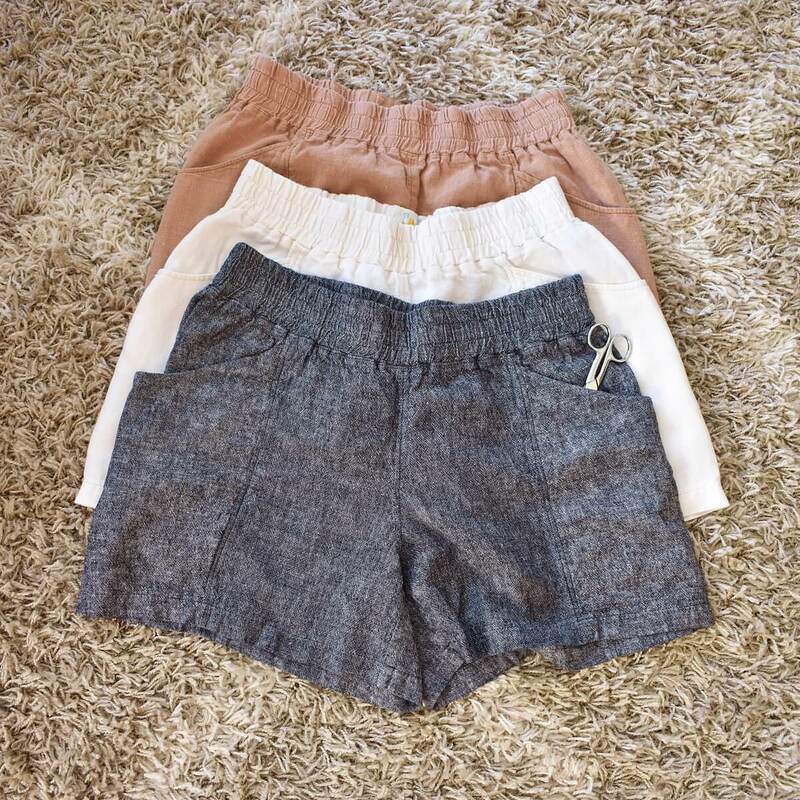 I was inspired by a pair of shorts from J Crew when I made these. I love how the scallops trasformed a pair of basic black shorts into something fancy. I followed a tutorial that Megan Nielsen has on her blog and they worked perfectly. I made these at the very end of Summer last year so I really didn’t get to wear them much at all. I am so excited to pull them out when it gets hot again! Speaking of shorts, last Summer I made three pairs of Parkside shorts modified to have large, crescent shaped side pockets. These were inspired by Elizabeth Suzann’s Clyde shorts. 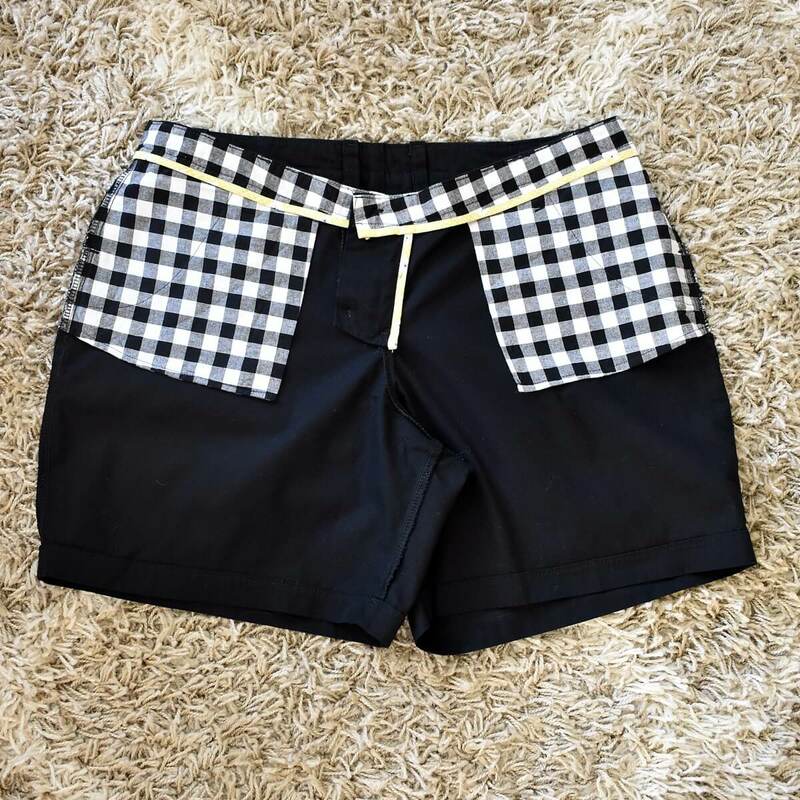 I love how these fun pockets changed the look of this very basic shorts pattern. I used a tutorial from Catherine of Thread Snips to modify the pattern. It was really not difficult to do and could be used on any elastic waist pants or shorts pattern. Catherine made her version from the Marigold trousers pattern from Tilly and the Buttons but I’ve also seen it done to the Named Pattern Ninni Culottes. The pockets are such a fun and practical detail. I could carry all sorts of stuff in them and they’re really fun to plunge your hands into. 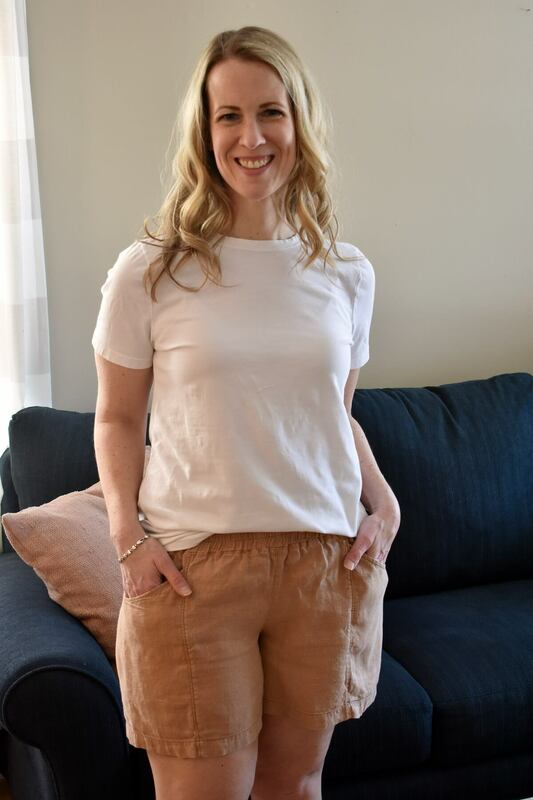 The Arenite pants from Sew Liberated and the Palisade Pants from Papercut Patterns feature some showstopping side pockets if you like this look without the pattern hacking. 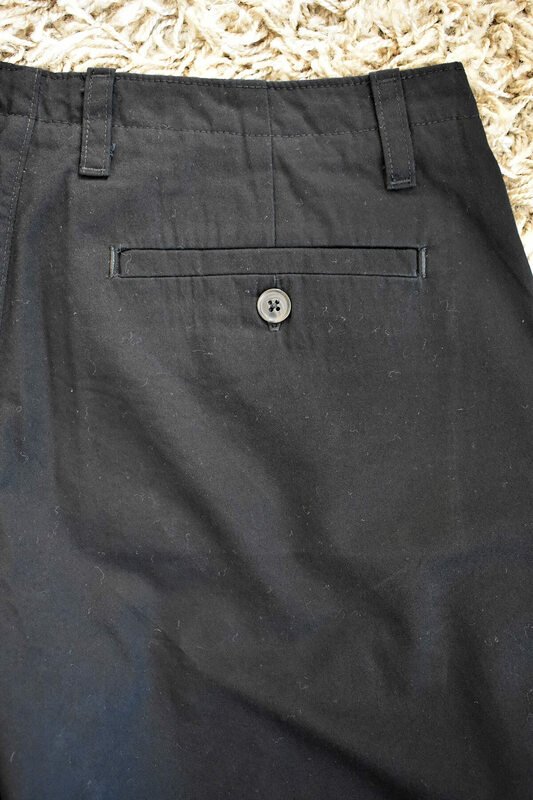 When I venture into making non-elastic waist pants I find I start to add more of my special details to the inside of my pants. I love using contrasting fabrics for pocket bags and bias binding details. 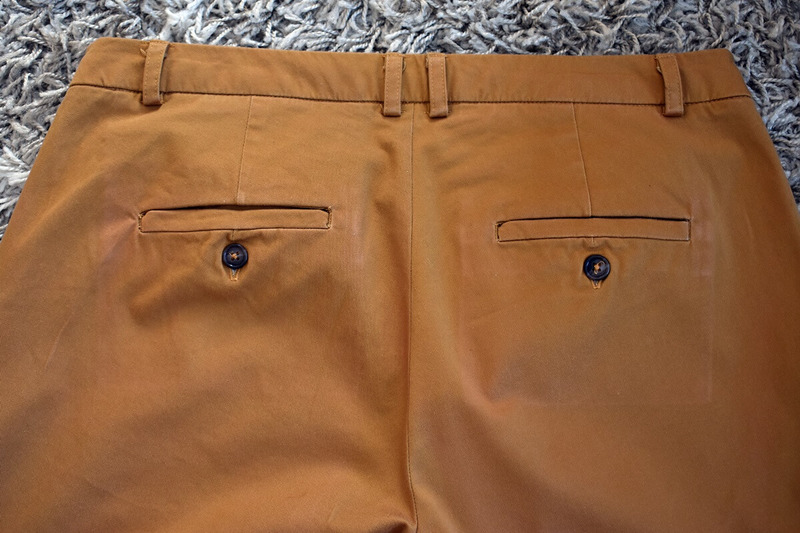 Recently I made my first part of Sasha trousers from an ochre stretch twill. I dug out my favorite scraps of navy and white fabric to use for accents on the inside of the pants. It makes me really happy to know that these details are in my pants even if no one sees them but me. The Chi Town chinos pattern also provides a great opportunity to add fun fabric to the inside of your pants or shorts. I used a black and white gingham and a scrap of yellow, black, and white quilting cotton for bias bindings. I think these are my favorite insides I’ve ever made. Sadly I made these shorts too small so I’ve never worn them. Eventually I will probably give them away but I really did my best sewing on them so I’m keeping them just to admire them every so often. 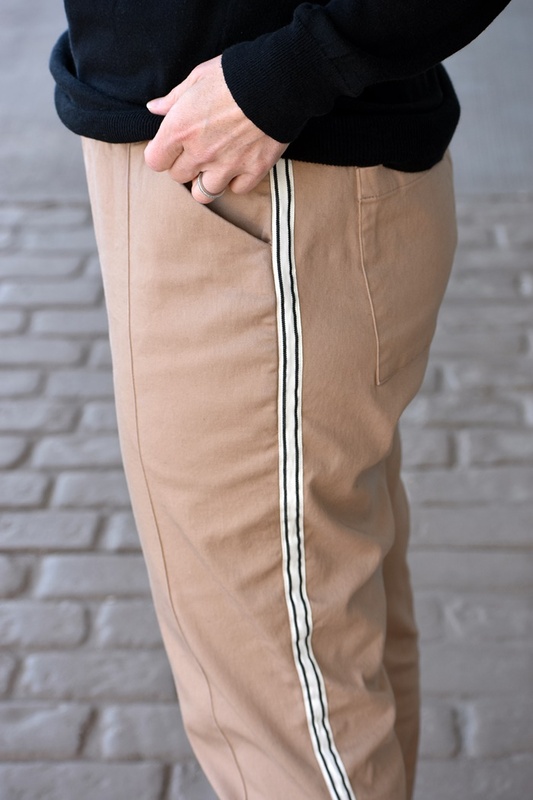 While most of the fun details are on the inside of my Sasha trousers and my Chi Town chinos, I made sure to add my favorite fancy pants detail on them– welt pockets! I love sewing welt pockets. I want to spread the message to all sewists that they should give welt pockets a try! I’ll admit, they are a little scary the first time around… but once you get the hang of them they are a really fun thing to sew. I love the method that is used on the Chi Town chinos pattern and tend to refer back to it even when I’m making a different pattern. They are such a professional detail and will make you feel like a sewing rock star when you make them! 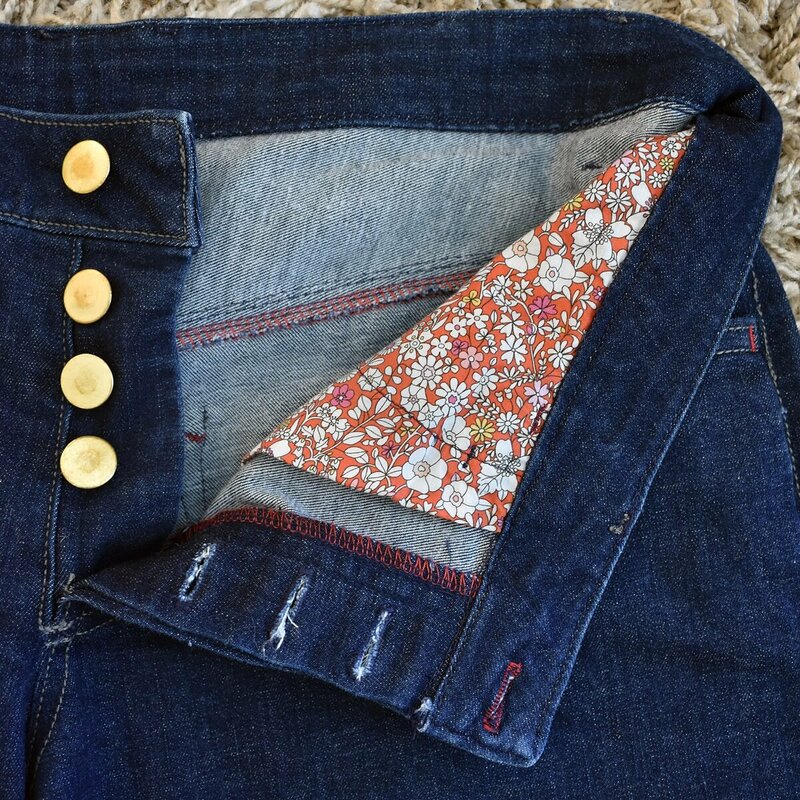 And to wrap it up, I’m going to show you my favorite detail to add to handmade jeans. I think any handmade jeans count as fancy pants– I love seeing the look on people’s faces when I tell them I made my jeans! 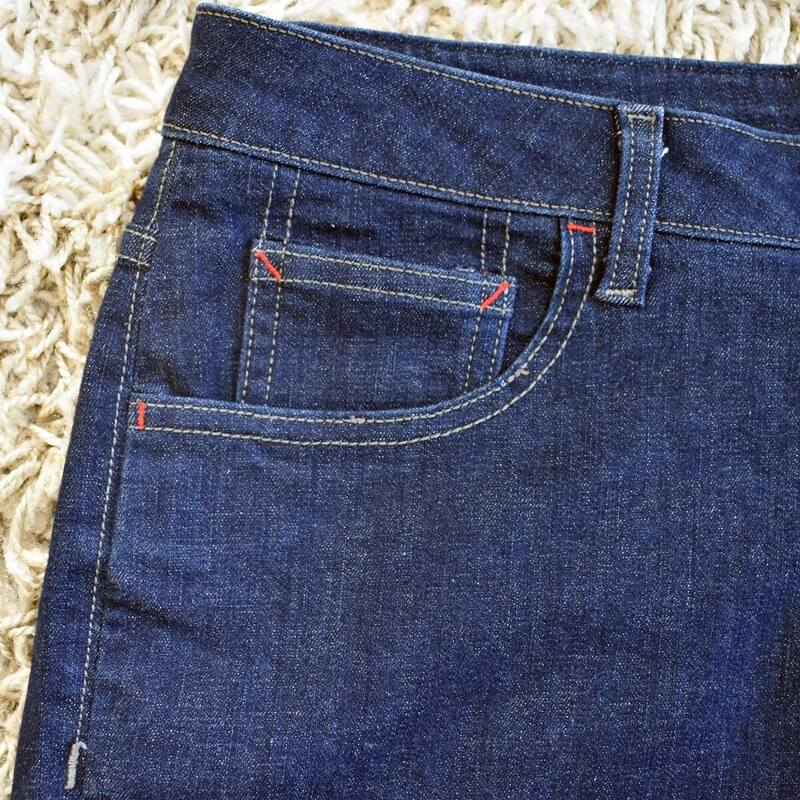 One of my favorite things to do is to use a colored serger thread in my loopers for a pop of color on the inside of my jeans/shorts, which can show up on the outside when I cuff my pants. On this pair of Morgan shorts I used red thread for the loopers and for the bar tack details on the outside of my jeans. I also used a precious scrap of Liberty lawn for the pocket bags on these. I’ve got jeans with pink, red, green, gray, and off white bartack accents and looper threads. It’s fun to have those tiny pops of color on the inside and outside. Have you made any pants during the challenge? I’d love to hear about your favorite pants details! Thanks, Abbey! It’s so fun for me to come up with fabric combinations for my interior details on pants. It’s a great way to use up scraps and pieces of quilting cotton that I have in my stash! Love all the details on your pants, especially the gingham pocket bags, zippers and colored bar tacks.